Have you ever noticed mold, white powder or “dust” settling on your cigars in your humidor? It’s because of the water. It makes all the difference! Water that is too acidic or contains minerals can wreak havoc on your valuable inventory. We can help you drastically improve the longevity and appeal of your cigars simply by addressing your water quality issues. A great cigar becomes an average cigar at best if it does not maintain its natural flavor, aroma, or original quality. While distilled water may be a reasonable alternative, reverse osmosis water is the best choice. Distilled water may contain minerals and other contaminants and is also slightly acidic. On the other hand, reverse osmosis produces the some of the purest water available at an expected neutral pH of 7. Join our several hundred other satisfied cigar humidor clients. Protect your investment. Give your customers the best cigar experience possible. Our system comes with detailed instructions and is very easy to install. No special technical experience is required. We are available M-F, 9:30-5 PM CST to answer any questions you may have. Click on the envelope or call us at the listed at the top right of your screen. Don’t forget to ask us about our AUTO SHIP program (always FREE shipping). You don’t need another thing to try to remember. We’ll remember for you. I’ve been working with Texas Drinking Water Systems for 4 years. They have been nothing but helpful any time we’ve ever needed anything. They call me when we were due for our next filter changes. I let them know how many filters I need and they get them out ASAP. We serve 40+ tobacco stores that have humidors where we keep thousands of dollars of cigars. 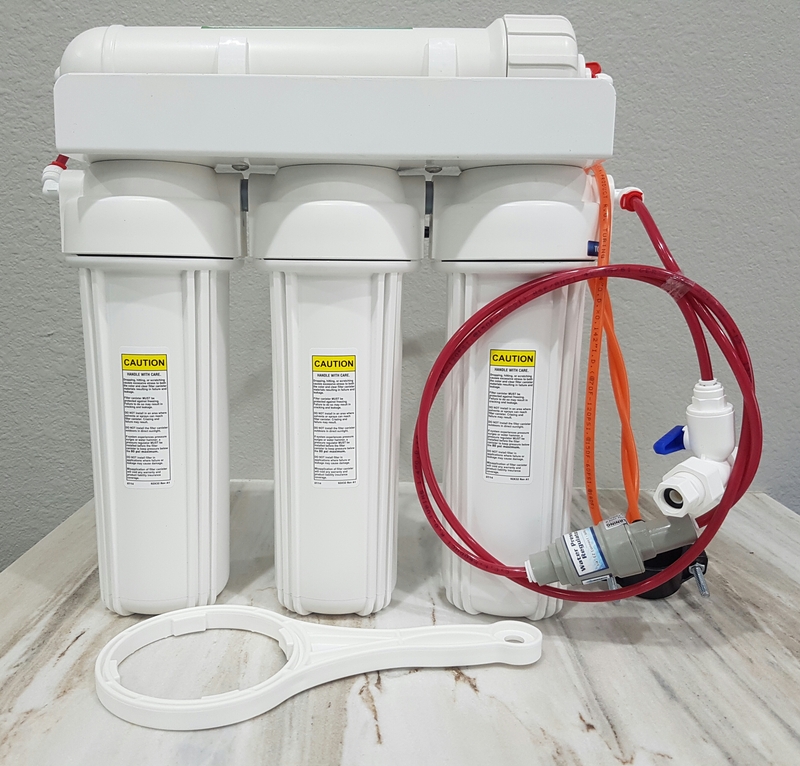 Until we found these Texas water filter systems we were having trouble with water issues. We were having mold and mildew in the water which affected everything in the humidor. We replace the filters once every quarter. By using Texas Drinking Water Systems’ filters everything has been perfect. Plus we save money by not buying distilled water. Texas Drinking Water Systems is a good company to work with I appreciate their business.